The First Tag // +FACE REVEAL!!! Ahem. Anyway, today, I have a tag for you guys! I saw that Kate had invented this tag and then when Kenzie tagged me, I knew I had to give it a whirl. Here I go, revealing all of my deepest, darkest secrets to you guys. Be prepared. Who was the first character you ever wrote? Yep. That’s his name. I’m so creative guys, didn’t you know? And was he ever a villain, that Villan. He had the evil laugh down to a science, he was always trying to kidnap the main character (a.k.a. ME), had lots of evil weapons, and was always trying to take over the world. Classic. What was the first story you ever finished? What was the first piece of writing advice you ever heard? Or what was the first bit of advice you used and it actually worked? I don’t remember anything specific, but my first encounter with advice was when I read Writing Magic by Gail Carson Levine. It really inspired me and helped me as a budding writer. I think it also helped me become a touch more refined and serious about my writing. Who was your first villain? See the answer to the first question. XD My first villain that I was actually proud of (or, I should say, am still proud of to this day, because one is always proud of their work in the present), would have to be an anti-hero named Hypnesia. He could hypnotize people (no duh), and he was very crazy, which I thought added such a layer of depth to him. Since then, he’s become a very prominent character in my stories. You might recognize the name Drilidric. He was heavily inspired by Hypnesia. In fact, he even goes by that name in Dangerous Minds, funnily enough. What was the first storyworld you ever built? What did your first attempt at worldbuilding or mapmaking look like? Well, let me just show you a picture! When was your first crush-on-your-own-character? I know it happened, don’t lie to me. Well… That’s a bit of a revealing question, wouldn’t you say? What was the first character death you ever had to write and how did you handle it? Um. Would you guys believe me if I said I haven’t killed off a character yet? I mean, I haven’t written their death, like on paper or keyboard? I mean, there have been plenty dramatic, heart-wrenching deaths in my head, but I haven’t had to deal with the stress and anguish of writing them down yet. When did you first decide that your book needed a full-blown series? When was the first time you stepped out of your comfort zone to write a new genre? So mostly all of my writing has been in my safe zone: fantasy. I feel like if I tried to branch out, it would just end up as a horrible mess. So for now, I’m sticking with the stuff I know. What was it like using a prompt for the first time? Here is one of my attempts at prompt writing. The prompt was ‘write a paragraph with every first letter of each sentence beginning with the words from ‘sentence”. Since you’ve gone, things have changed. Everyone is an enemy. No one smiles anymore. The streets are in ruins and people shout and run about in madness. Even the dogs have turned, scratching and biting their owners. Never has this town felt darker, more sinister. Come back, please. Even if you’re unwanted. Opening line: share your first, your favorite, and your most recent. First // The wizard sat wearily, leaning heavily over his staff, sweating running profusely down his forehead. His hands trembled as they gripped the staff tight, his knuckles white. His eyes were shut in deep focus. Meet me at the Bistro tomorrow night and we will settle this. His voice rose. He shook his head. Here he was, talking to himself again. What was your first ending like? What was the first ship you ever wrote and, be honest, did you make them a ship name? What year was your first NaNo? Which novel is memorable for being the first one you ever gave up on? These were…not my proudest writing days. When did you first share your work with someone else and how did they react? Alright, let’s tag a few peoples! If you’ve already been tagged, well, you’re welcome anyway. 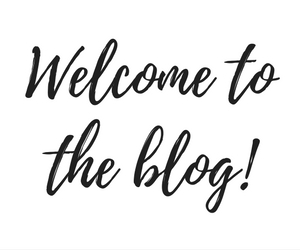 I tag… Savannah @ Inspiring Writes | Deborah @ The Road of a Writer | Jenelle Schmidt | and Lisa Pickle. Just kidding, this is my face. Much to your disappointment I’m sure, I am not a puppy that can type and read. I…guess you could comment about my face. But that’s kind of awkward, so how about we talk about Realm Makers instead? Are you going? Have you been before? TALK TO ME I’M NERVOUS. Also, do you have any fun vacations planned for this summer? A villain named Villan- that’s awesome! I must have more of this Garlic Ninja story! I love that opening line…although the thought of wasted meatballs is just awful. I’m also nervous about Realm Makers, and how near it is. But at the same time I know it is going to be amazing. That is a very nice and professional looking picture, by the way. Aww, thanks for tagging me! This looks like fun! Awww, the cringey nature of memory lane when it comes to first writings…. hehe, should be a blast. I love that you had a villain named Villain. That’s awesome. I am also starting to get a bit nervous about RM… it’s only ONE MONTH AWAY! AAAAHHHHH! XDDDDD IT’S SO RIDICULOUS AND HILARIOUSLY CRINGEY BUT I JUST KINDA LOVE IT.